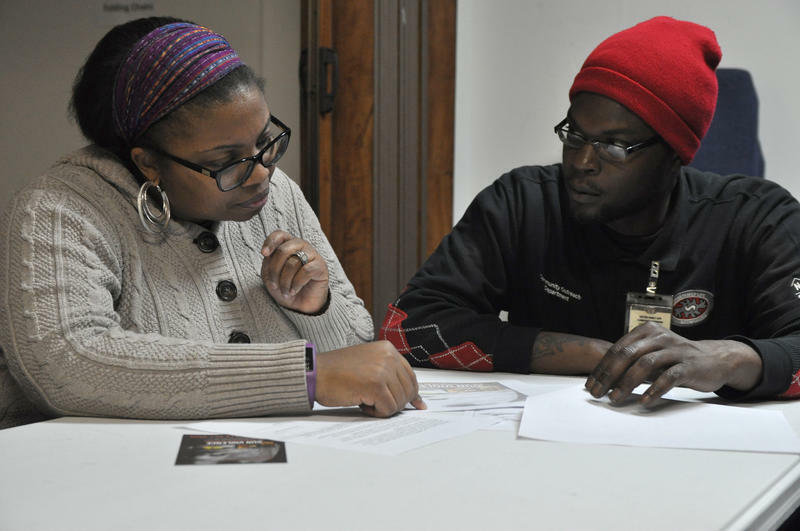 Volunteer counselors Dr. Marva Robinson, left, and Adrian Wrice discuss a case during drop-in hours in the basement of the New Northside Missionary Baptist Church. In the basement of the New Northside Missionary Baptist Church, clinical psychologist Marva Robinson meets with people who know of a conflict that may escalate to violence. She trains her ear to signs of previous trauma or emotional instability. The next day, she starts making calls. “We start the next day, with trying to make contact with individuals to see how we can have a conversation about the conflict in ways that we can resolve it,” Robinson said. Robinson is one of several counselors volunteering their time for a new program to prevent violent conflicts in St. Louis. The nonprofit Better Family Life has established a hotline for residents to report potential conflicts, and volunteer counselors hold drop-in hours on Tuesday nights in four area churches. Organizers say it’s a necessary alternative to calling 9-1-1. There were 188 homicides reported by the city of St. Louis in 2015, and less than a third of the cases were closed by the end of the year. All but nine victims were killed with a gun. Since early December, counselors have conducted 13 de-escalation sessions, Clark said. Though the program began without funding, the organization is hoping to attract donors as it rolls out. Counselors do not share information from the conversations with law enforcement, outside of their duties as a mandatory reporter for suspicions of child or elder abuse. St. Louis Metropolitan Police Department Police Chief Sam Dotson expressed support for the program. Robinson said she knows she has prevented violence in at least one case so far, and that the men involved later returned to Better Family Life for help with a job search. To reach Better Family Life’s de-escalation hotline, call 314-203-3900. Is the 'We Must Stop Killing Each Other' initiative helping reduce violence? Last year, black-and-white "We Must Stop Killing Each Other" signs began popping up in yards across St. Louis. 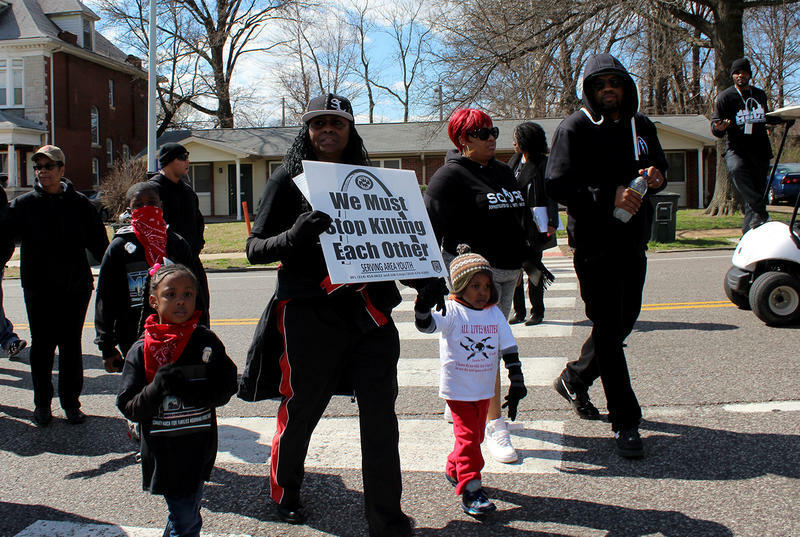 The organization behind the signs, Better Family Life, had just received $55,000 from the city of St. Louis to continue its efforts to reduce violence in targeted city neighborhoods. 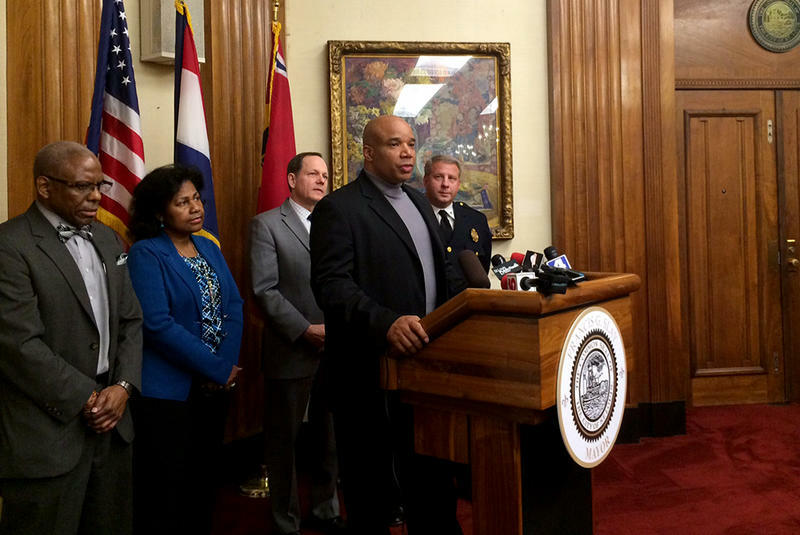 St. Louis is increasing its funding for a local agency’s initiative to shift the culture of St. Louis’s most dangerous blocks away from violence. Better Family Life is getting a total of $55,000 from the city’s public safety fund for its Neighborhood Alliance program, which puts outreach specialists and case managers in the neighborhoods to connect families to resources and teach conflict resolution. On Monday morning, St. Louis detectives began work on the city’s 145th homicide case since January. The body of a 25-year-old man was found in a car with multiple gunshot wounds in the Mark Twain neighborhood, an area less than two miles square that has already experienced six murders in the past nine months.